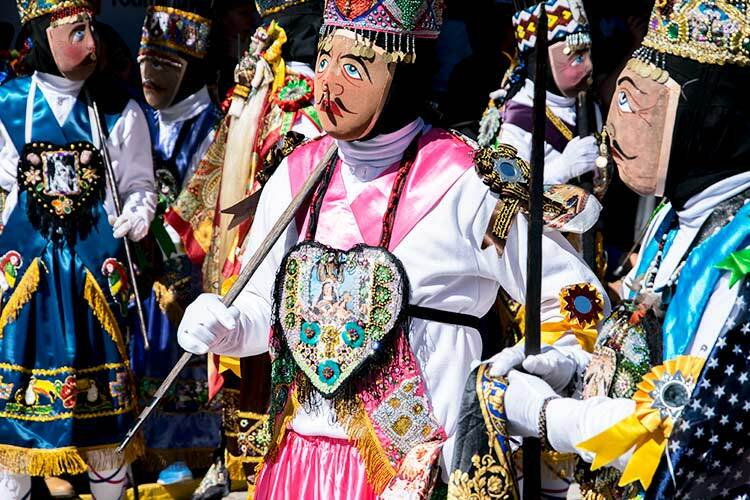 In the Andes-meets-Amazon town of Paucartambo, one of Peru’s most colorful and riotous celebrations unfolds: the Paucartambo Festival of Virgen del Carmen celebrating the town’s patron saint of the mestizos. The otherwise quiet and picturesque town of whitewashed facades and blue balconies becomes just a backdrop to the parades of colorful dance groups, beer and pisco-fueled debauchery, and costumed reenactments of colonial-era history. Here’s everything you need to know should you attend this wild Paucartambo Festival during your tour of Peru. When does the Paucartambo Festival Take Place? 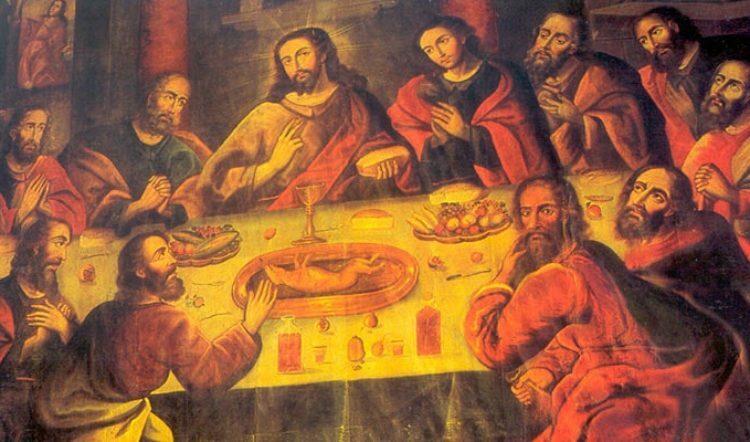 Over the course of five days in mid-July, usually from July 15th to July 19th, thousands of Sacred Valley campesinos and visitors from every neck of Peru and the world descend upon this tiny colonial town three hours outside of Cusco for the round-the-clock five-day party. Time your trip to Peru right and it’s the perfect complement to any southern Peru travel itinerary. 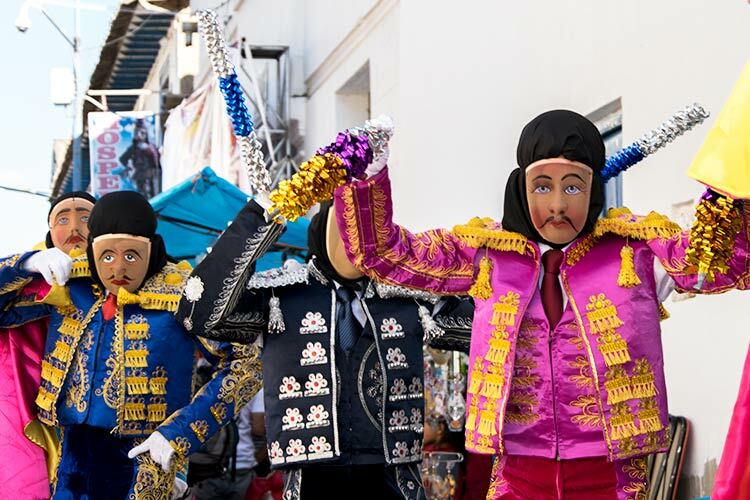 Expect nonstop revelry complete with incessant fireworks, plenty of free-flowing alcohol and even a few masked and costumed men scaling the town’s clay-tiled rooftops or swinging from the square’s blue balconies. Accommodations are usually rudimentary as sleep isn’t top of mind for most partygoers, however nicer accommodations can be arranged though they may be costly. Amidst the dancing and jubilee are several masses, the procession of the Virgen del Carmen through town, and a hike up to Tres Cruces to see the spectacular sunrise over the rainforest. 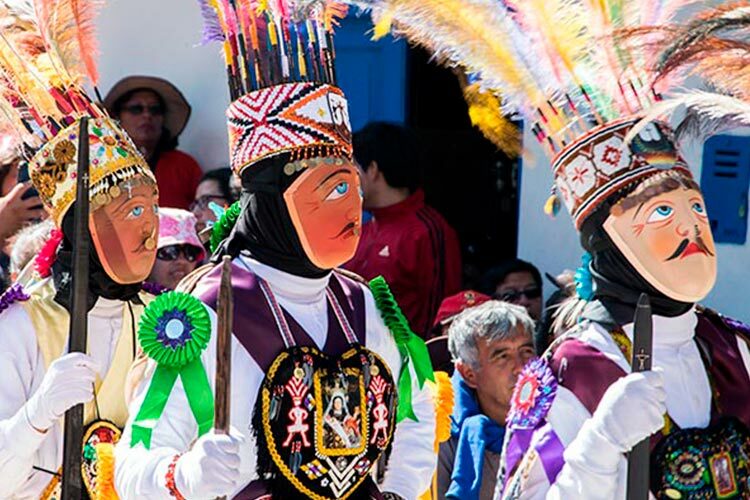 While most Andean towns in Peru host patrimonial festivals of their own, the Paucartambo Festival is like no other. 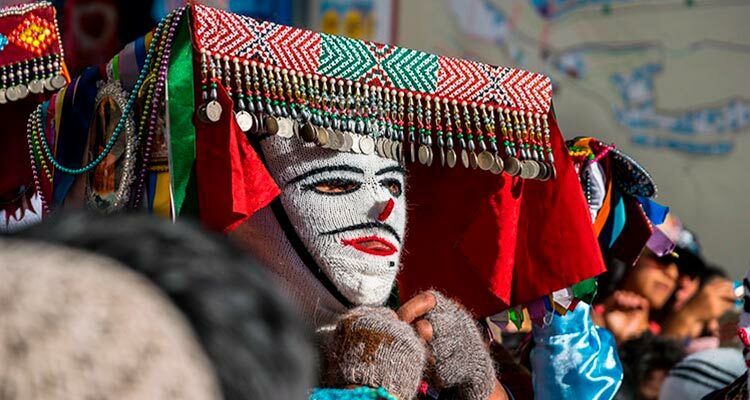 If you’ll be traveling in Peru in mid-July, beeline it for the cobble-stoned streets of Paucartambo to experience firsthand Peru’s wildest festival of them all, one that is rooted in the traditions carried forward from 13th century Peru. 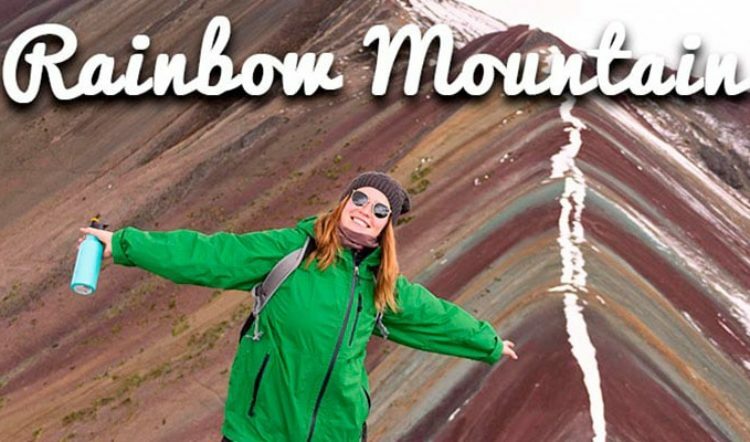 Besides the stunning Tres Cruces viewpoint, there’s never a better reason to visit this quaint colonial town on your Peru vacation than for this fun-filled annual event. 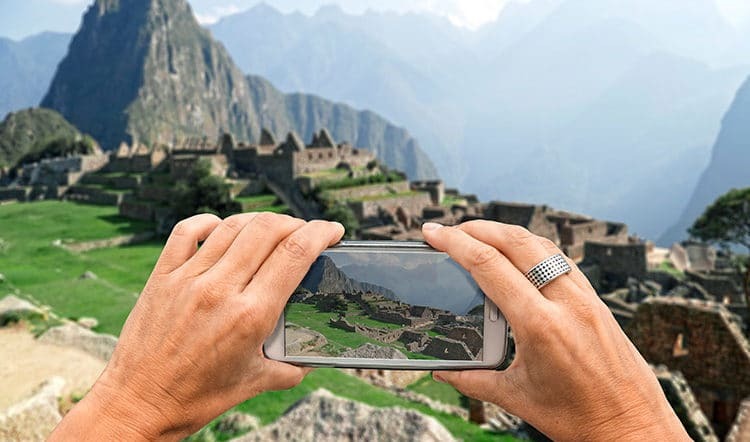 Whether you choose to experience the Paucartambo Festival for just a day between your visit to Cusco and tour of Machu Picchu or you choose to stay for the entire rowdy and reverent affair, your Kuoda Travel Designer will make sure the experience is nothing short of amazing. 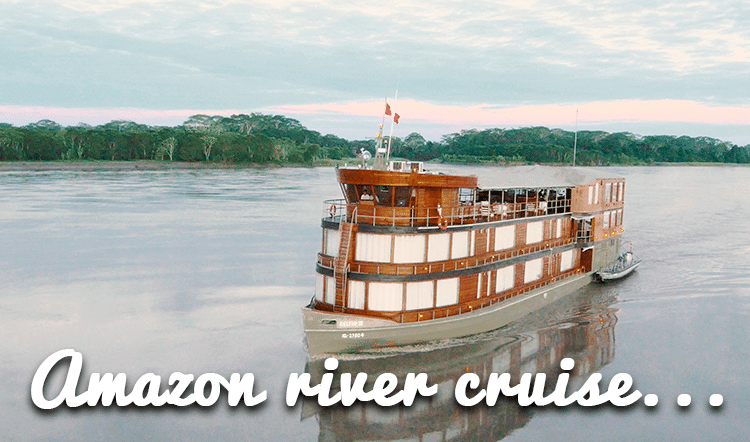 Get in touch with us today to begin planning your dream tailor-made Peru tour.